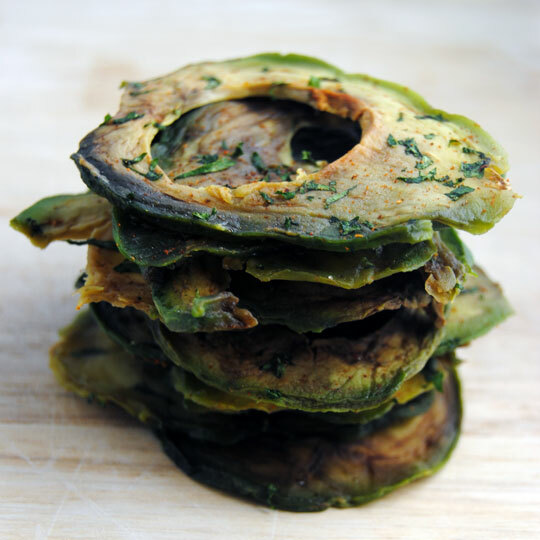 These tangy avocado chips were sliced perfectly with a Weston Mandoline Slicer and dehydrated in a Weston Food Dehydrator for a tasty homemade snack. 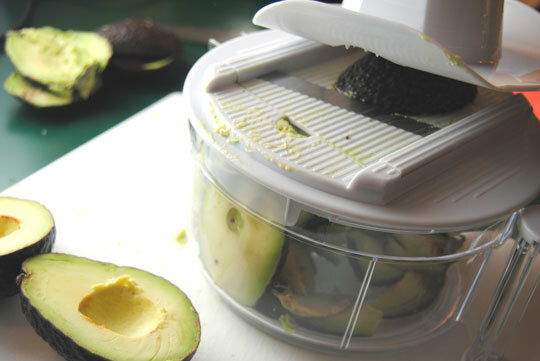 Attach the mandoline slicer attachment to your Weston Manual Kitchen Kit, or use a Weston Mandoline slicer to slice the avocados. 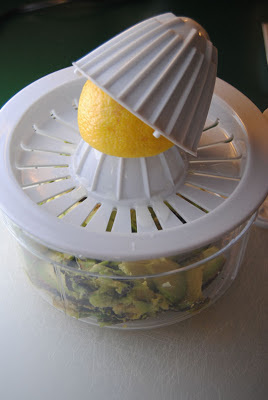 Use the juicing attachment on the Manual Kitchen Kit to squeeze lemon juice onto the avocado slices. Remove the peel from the slices and lay them out on your dehydrator racks. Use the chopping attachment on the Kitchen Kit to chop your cilantro finely. 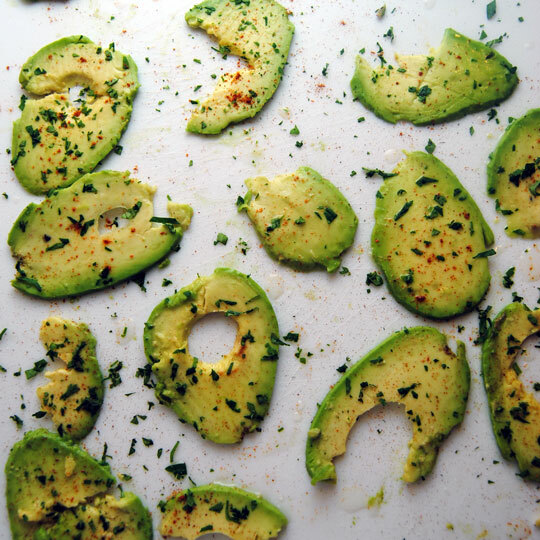 Sprinkle the avocado slices with cilantro, cayenne, and sea salt. Dehydrate in a Weston Dehydrator for 10 hours at 165 degrees. Has anyone tried this? Does it work and do they taste good afterward? Has anyone tried this? Do they taste good afterward? 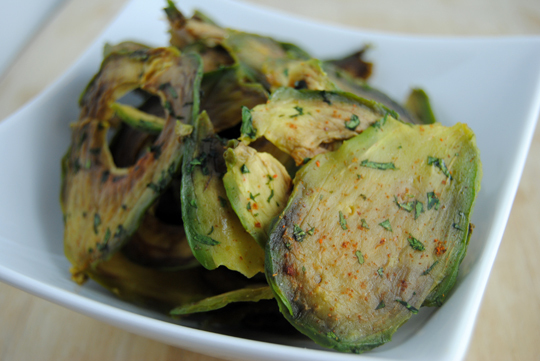 If you like avocado's you should love this recipe. Play around with the seasoning to find a combination you like. 10 hours at 165 seems pretty hot and also like a long time for veggies, even for as oily as 'cados are. I'm going to make some avocado chips tomorrow. I'll post results in a few days.